Recently, the world of professional tennis witnessed the crowning of a new French Open champion, Simona Halep. By doing so, she also achieved her first Grand Slam title – a feat that had eluded her for what felt like ages. However, no matter how many obstacles Halep encountered in her journey, she always managed to hold her head up high always in the face of adversity. The story of Simona Halep is something that everyone should read up on, especially since it talks about a struggle that everyone faces in their lives – the constant barrage of failure and an unwavering mentality to look past these failures and succeed, no matter what the cost. 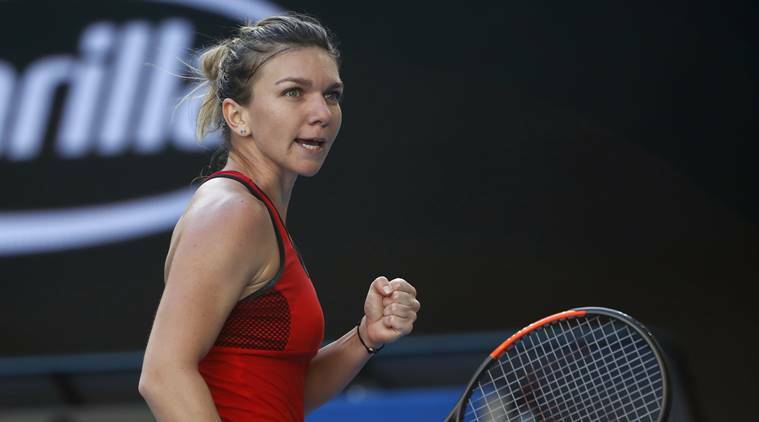 Even as a marketer, there are various things that one can learn from Halep, which will help foster a positive attitude and help achieve success as a result. It took Halep four attempts before she finally managed to win the French Open. Think about that for a second – the World No. 1 experienced failure a total of three times, before she finally achieved greatness. Normally, any person who failed three times while trying to achieve something would generally give up on what they would assume to be a fruitless endeavour. This behaviour is totally understandable – after all, it’s in the nature of human beings to win, and losing even once can affect one’s mentality. But three times? That’s totally out of the question. This is the case for marketers as well. A failed marketing strategy is more than enough to deter people from following the same tactic again, for reasons that might justify this behaviour in their minds. However, there’s one crucial thing that must be kept in mind – failure is integral to success. One needs to analyse their failures and gauge the reasons that caused such a collapse. By learning from their mistakes, people – marketers or otherwise – will understand how to deal with a similar situation if the need arises again. The greater clarity they attain in their thought process, as a result, will prove to be invariably useful in the long run. Failing three times on one of the grandest stages in tennis will surely take a toll on one’s mind. Halep had to visit a psychologist to deal with the pressure of constantly failing to perform in the finals of the French Open. However, by keeping a positive mindset and focusing on the end goal, Halep was able to conquer this obstacle and finally become the French Open champion. Anyone well-versed with the ins-and-outs of marketing can vouch for the fact that workplace pressure can come up at any time. How people deal with this pressure defines their success in the long-term. Pressure should never be seen as a deterrent – rather, one must learn how to flourish under such external pressure. This will allow marketers to make great decisions in the face of adversity and – ultimately – pave their path to success. However, a positive mentality can only take someone so far. Being hopelessly optimistic is not the way to achieve any goal. Keep in mind that hard work is imperative to enjoy success; if a person can talk the talk but not walk the walk, then what’s even the point? The drive to succeed and achieve redemption for past losses wasn’t the only motivating factor that spurred Halep onward to win the title. It was also the hours upon hours she spent honing her skills and body to become proficient in her field and win this esteemed accolade. She put in her blood, sweat, and tears to achieve the goal of becoming the very best. Similarly, marketing is not as simple as just forming an idea out of nowhere. An aspiring marketer needs to perform extensive competition research and analyse the target audience to figure out what kind of campaigns would connect with them. Without doing so, their marketing initiatives will be nothing more than a flash in the pan. Human beings like to think that they’re perfect. After all, the fact that we’re the smartest species in the entire world certainly adds to this hefty perception that we have about us. However, there’s a prevalent saying that should always be kept in mind – nobody’s perfect. No matter how high we might think of ourselves, there are times when we’re woefully inept in accomplishing a particular task. It’s completely normal for this to happen, and the last thing anyone should do is beat themselves up over it. No one is perfect, and everyone has flaws. If Halep went into the finals with the mentality that she could do no wrong, then she would’ve lost the match before it even started. Rather, she realised her faults, and made efforts towards amending them. Marketers also need to realise that no matter what, there will be certain aspects of their work where they might be lacking. Teaming up with other people and working towards correcting these faults is important if one wants to truly become a marketing guru. Being humble is an important trait that’s important for people in any field, whether it might be marketing or anything else. Imagine the frustration that Halep would’ve experienced time and time again when she lost three times in the finals. A person who’s the best in the world in their field of expertise might obviously attain a sense of misplaced entitlement and assume that everything should be handed to them. However, in the face of all this adversity, Halep realised one thing – one can never force the onset of success. If they put in the efforts and wait, then success will come to them. This goes for marketing as well. One might have the best marketing idea with the perfect execution, but that doesn’t mean that results will happen instantly. Being patient is imperative to ensure the success of any marketing strategy – restlessness will only compel people to jump the gun and lead to less-than-favourable outcomes. The story of Simona Halep is an amazing tale that anybody can attain inspiration from. The core values that compelled Halep to make it big is one of the major reasons why this story is so relatable, regardless of which field a person might be specialising in. Marketers should find it in their best interests to look at such inspirational stories and connect it with their line of work to attain new insights.